When in the Course of human events, it becomes necessary for one people to dissolve the political bands which have connected them with another, and to assume among the Powers of the earth, the separate and equal station to which the Laws of Nature and of Nature's God entitle them, a decent respect to the opinions of mankind requires that they should declare the causes which impel them to the separation. We hold these truths to be self‑evident, that all men are created equal, that they are endowed by their Creator with certain unalienable Rights, that among these are Life, Liberty and the pursuit of Happiness. That to secure these rights, Governments are instituted among Men, deriving their just powers from the consent of the governed, That whenever any Form of Government becomes destructive of these ends, it is the Right of the People to alter or to abolish it, and to institute new Government, laying its foundation on such principles and organizing its powers in such form, as to them shall seem most likely to effect their Safety and Happiness. “The Laws of Nature and of Nature's God” -- are the foundation of the political principles of American independence. As set forth in the writings of Locke, Sidney, and others, it means that nature has inherent laws by which each individual has a conscience, accountability for one’s actions, and a duty to not harm others or their property. It is not the “law of the jungle,” nor license, but a moral code that binds us together in families and communities, manifest in English common law, and in religion. It recognizes the innate ability of all people and their magistrates to use reason and faith to choose virtue, the common good and civility, over vice and corruption. 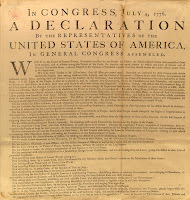 “We hold these truths to be self‑evident” (Jefferson used the words in his first draft, “sacred and undeniable”) -- confirms that there are certain truths that all people are bound to acknowledge, such as the equality of the rights of man, including the right to govern his or her life and property. “…that all men are created equal" -- As John Locke wrote, “… all men by Nature are equal… cannot be supposed to understand all sorts of Equality… [but] in respect of Jurisdiction or Dominion one over another... being that equal Right that every Man hath, to his natural Freedom, without being subjected to the Will or Authority of any other Man." (Second Treatise on Government) We are all equal in the eyes of our Creator, equal in our natural rights, and equal before the law. 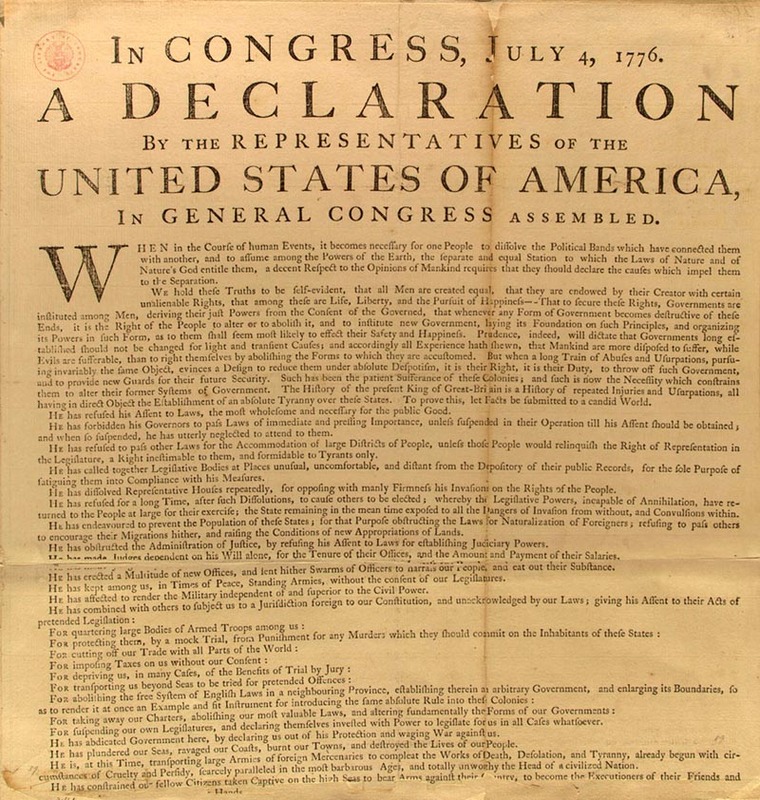 “...that they are endowed by their Creator with certain unalienable Rights, that among these are Life, Liberty and the pursuit of Happiness.” A religious people rose in rebellion against Great Britain in 1776, and the vast majority of American colonists believed in God, the Bible, and in the creation of man. Even for "deists" like Jefferson, there was an acknowledgement that God is the author of liberty and of the natural rights of each person. He wrote in 1774: “The God who gave us life gave us liberty at the same time; the hand of force may destroy, but cannot disjoin them.” Jefferson recorded that, “Happiness is the aim of life. Virtue is the foundation of happiness.” Our natural rights are divine gifts and not subject to human grants. The term “unalienable” means incapable of being sold or transferred. “…the consent of the governed” -- Governments are properly the result of the choice of the governed. As John Jay wrote in Federalist No. 2, “Nothing is more certain than the indispensable necessity of government; and it is equally undeniable that whenever and however it is instituted, the people must cede to it some of their natural rights, in order to vest it with requisite powers.” The people are sovereign and they delegate to government the power to rule. “… it is the Right of the People to alter or to abolish it, and to institute new Government.” Under the circumstances of “a long train of abuses” -- consisting of violations of individual and societal liberties and usurpations of power, there is a right and a duty to revolt against tyranny. 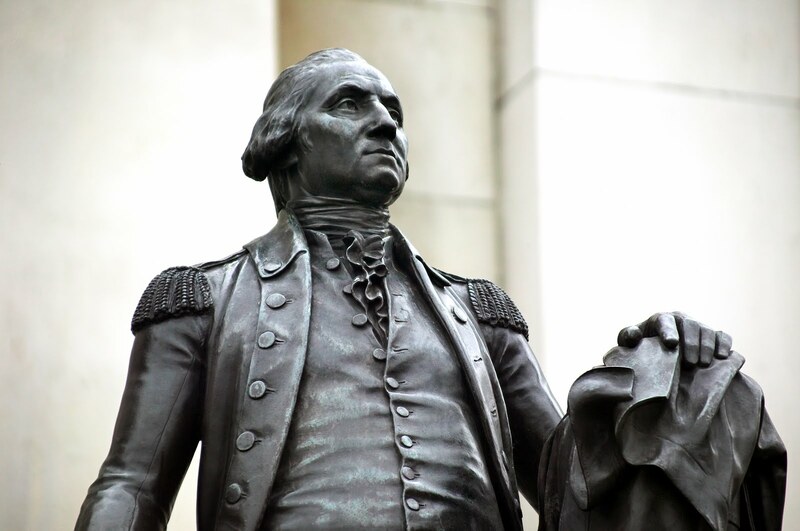 “… laying its foundation on such principles and organizing its powers in such form, as to them shall seem most likely to effect their Safety and Happiness.” The foundation of good government is based upon individual liberty and responsibility. Sidney stated in Discourses on Government (1751) that, "the safety of the people [is] the supreme law..." including the preservation of their liberties and lands, and all other laws must be subservient to that principle (III.16.318). John Adams wrote in his Thoughts on Government (1776) that, "The happiness of society is the end [or ultimate purpose] of government." Thomas Jefferson, Rights of British America, 1774 (The Writings of Thomas Jefferson, Memorial Edition) (ME) 1:211. Thomas Jefferson to William Short, October 31, 1819, ME 15:223.